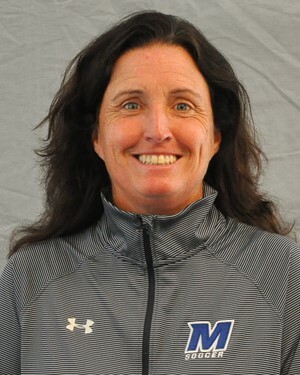 Krissy Turner, a three-time Northeast Conference Coach of the Year, continues her reign as the head coach of the Monmouth University women’s soccer program, and enters her 13th season with the Blue and White. Last season, the Hawks won 15 matches, advanced to their 13th overall NEC postseason, won their second Northeast Conference Championship and advanced to the NCAA Regionals. As successful in the classroom, Turner’s teams have earned 12 straight NSCAA/adidas Team Academic Award citations, and after four consecutive double-digit win seasons, which include three Northeast Conference Championship game appearances, Turner has guided the Hawks to 55 wins over the last four campaigns.